Why is Jelly Belly Called Jelly Belly? There are jelly beans and then there are Jelly Belly’s. Jelly beans are slightly larger in size, have a waxy coating, and taste like the highly confectionery version of the fruit they’re flavored as. Jelly Belly’s on the other hand, are an elevated version of this. Slightly smaller, with a polished coating and pack a tasteful punch in wild flavors that are eerily similar to their true form. Before the Jelly Belly Candy Company became what it is today, it was formerly known as Goelitz Confectionary Company. In 1866, Gustav Goelitz immigrated to the U.S. and started his confectionery business in Belleville, Illinois. The candy they first had manufacturing success with was mellowcreme candy, a chewy candy similar to candy corn. In 1924, his son, Herman Goelitz, moved west to Oakland, California and started his own candy business, Herman Goelitz Candy Company. By 1965, they were making gummy bears and mini jelly beans. At the time, they were jelly bean visionaries. Other candy makers only flavored the outer shell of the bean, while they were the first to flavor the chew on the inside. 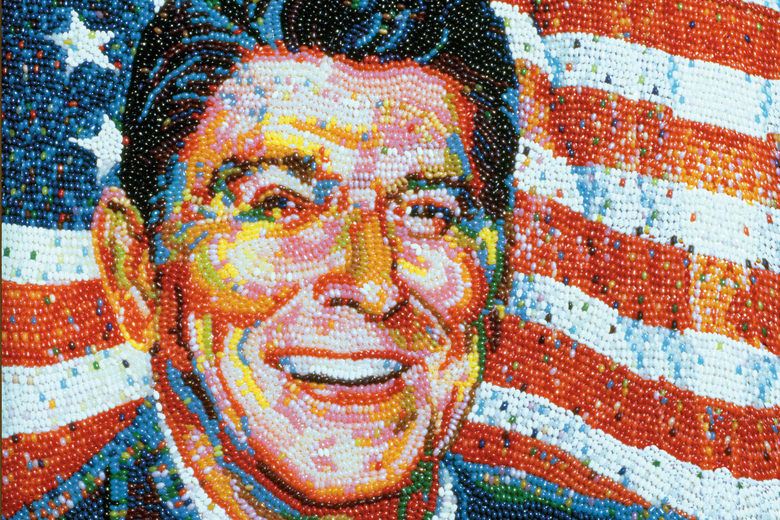 A year later, governor of California Ronald Reagan first tried the mini jelly beans to curb his smoking addiction. He wrote to chairman of the company, “It’s gotten to the point…where we can hardly start a meeting or make a decision without passing around a jar of jelly beans.” Once Reagan became president, he was supplied with Jelly Belly’s in both the Oval Office and Air Force. Why is it Called Jelly Belly? Then entered David Klein, a candy and nut distributor and the Founder of Gravy Nut. In 1976, he partnered with Herman to create jelly beans using natural puree, and the modern Jelly Belly was born. As a tribute to blues musician Lead Belly, Klein coined the name Jelly Belly. Not only did he supply the name, but he also created the famous red and yellow logo. There are now 300,000 pounds of Jelly Belly’s made each day. 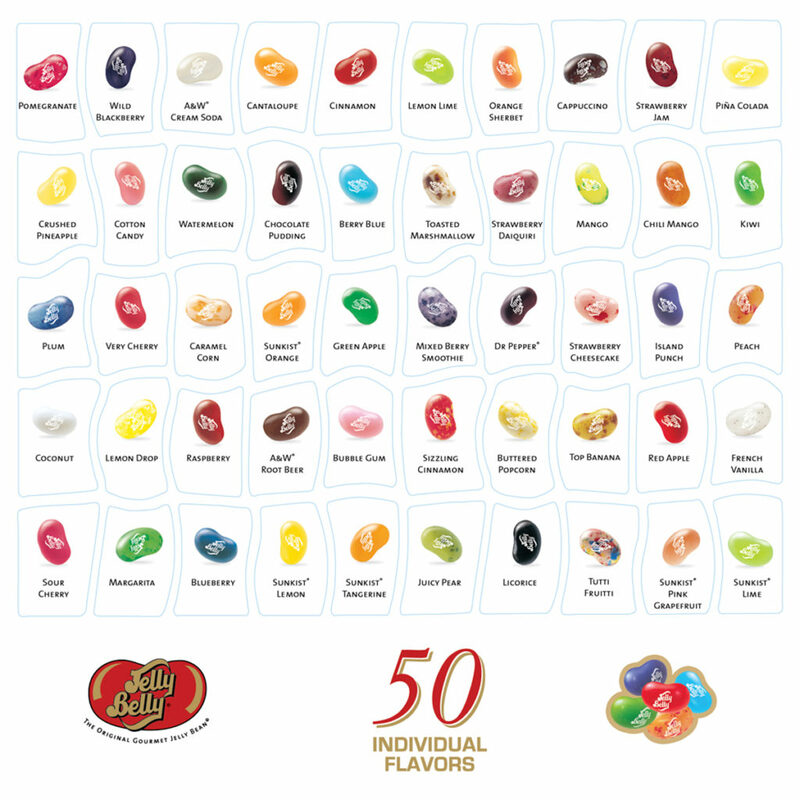 According to industry experts, “Jelly Belly’s success is because of their wider availability and global expansion.” Jelly Belly now has more than 50 varieties, with the original flavors being cherry, tangerine, lemon, green apple, grape, licorice, root beer, cream soda and believe it or not, they even sell a draft beer. And to take it even further, Jelly Belly’s most wild flavors are sourced from the imagination of J.K. Rowling and modeled after Harry Potter’s Bertie Bott’s Every Flavor Beans. These include soap, rotten egg, dirt, earthworm, earwax, booger and even vomit.